When the nights get longer and the air gets cooler, the water temperature in your pool also goes down. This means the time to enjoy swimming in your pool is over. Maybe it’s just time to buy a solar pool cover! These covers are designed specifically to raise the temperature of the pool water by a few degrees, besides keeping out the debris. If you have a pool heater, a solar cover will also help bring down the running cost of the heater by keeping water comparatively warmer. You can find a variety of covers. However, you can extend your swimming season by a few weeks, or even months only if you invest in the best solar pool cover. But the million-dollar question is, what is the best solar pool cover on the market? 1 What are Different Types of Pool Covers? 2 What Makes Solar Pool Covers a Better Option? Pool covers certainly help maximize your pool’s potential by keeping them warm. Once you have decided to buy a pool cover, the next thing is to decide which type of cover will suit you the most. 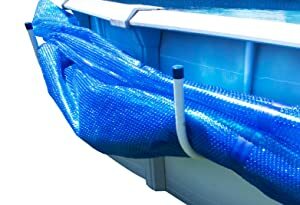 Automatic Pool Covers: These fully-automated covers are quite popular. You can open and close them with a mere push of a button. You have to install two tracks parallel to each other to make these covers work.Therefore, you need to hire a professional to have them installed, which adds to the overall cost of having them. Thermal Covers: If you live in a relatively colder area, you may want to opt for a thermal cover or a thermal pool blanket, as they call it. It works great to limit evaporation.In other words, it insulates the water and goes on to extend your season. 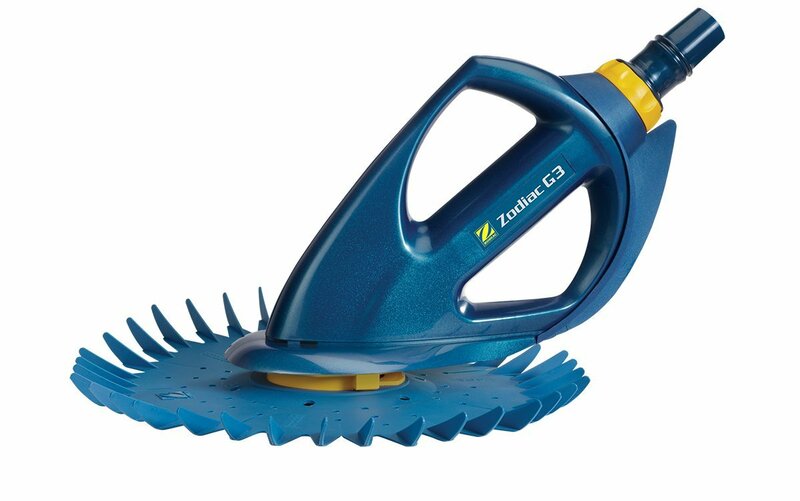 They also work fine to keep your pool clean because they prevent any extraneous debris from entering the pool. Solar Pool Covers: One increasingly popular option is to opt for specially designed solar pool covers. 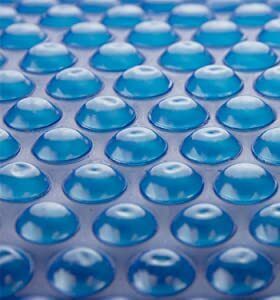 Also called bubble covers, they are easy to install and also the most affordable pool covers.They have special bubbles on the surface that absorb sun’s warmth and keep it trapped at night. They reduce evaporation by 99% and reduce heating costs as well. However, overtime the cheap covers start losing cover, which impact their effectiveness and leaves a layer of unwanted plastic on the water surface. What Makes Solar Pool Covers a Better Option? Solar pool covers are fast becoming popular because of their affordable price and ease of installation. You can opt for thermal pool covers or even put your money on automatic pool covers. However, they may be easier to use, but are going to cost you a lot more. It is the best option when you want a cover to help reduce evaporation. It can reduce evaporation by 99%. Solar pool covers are better than other types because they work great to keep in the chemicals required to maintain the water chemistry. You are less likely to worry about adding more chemical to the water, which cuts the overall maintenance cost. When used correctly, solar pool covers can increase the temperature of pool water by 8 degrees. 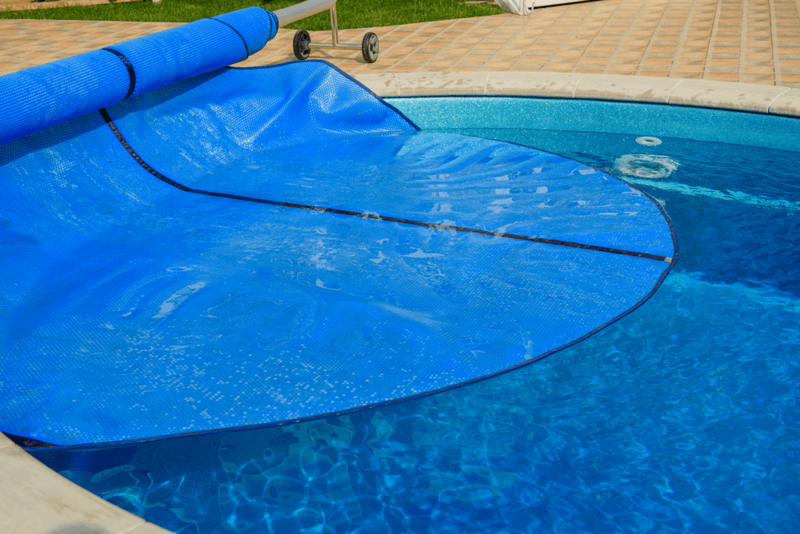 Other pool covers may only protect the water temperature from going down. The cover essentially turns your pool into a solar heater. They do not require any serious skills for installation. You can handle the process with a pair of household scissors that you need to cut the cover as per the shape of your pool. Automatic pool covers require a professional’s help, and installing thermal covers can be tricky too. A solar cover does not look unsightly, which may be the case with automatic pool coves. In case of automatic covers, the tracks have to sit above ground, which makes them highly visible and unattractive. To enjoy a longer swimming season, consider this pool cover from Intex. The pool cover is quite suitable for 12′ diameter round pools. 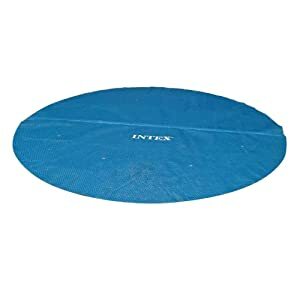 It is a popular product from Intex because it is one of the most economical and easy to use covers available on the market. It reduces water evaporation by up to 95%. Another good thing about this pool cover is that it comes with a reusable carry bag. It means that you can store the cover when it is not in use. It fits perfectly inside your pool and stays in place. You can keep the pump running even when you have your pool covered. The only issue is that the pool cover is a bit thin and the blue bubbles could have been stronger. 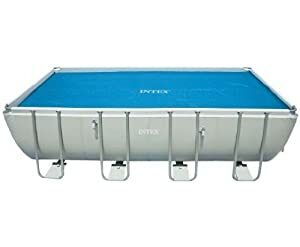 Intex offers a diverse range of pool covers and this one is the right choice when you have a rectangular pool. It keeps your pool warmer and is quite durable too. 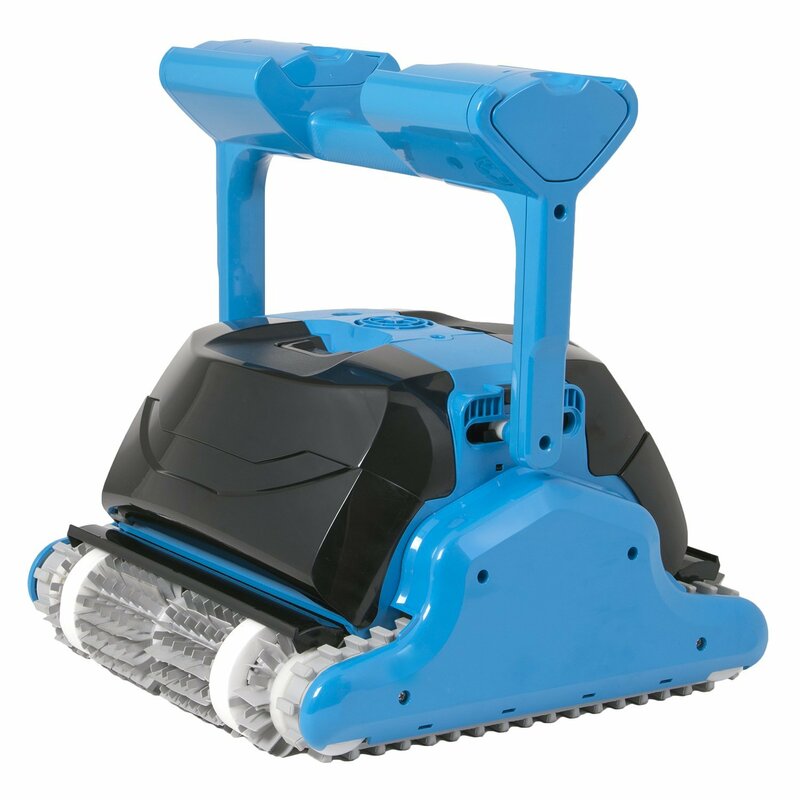 It uses 160-micron material, which means you do not have to worry about durability for several years. It comes with poles on the sides. These U-shaped pools have straps that help prevent your pool cover from sinking. This well-made pool cover comes with a carrying bag as well. Be sure to check the size of your pool and compare it with the cover because it may be a bit smaller for most rectangular pools. With its attractive blue design, this cover from Sun2Solar will add a touch of grace to your rectangular pool. 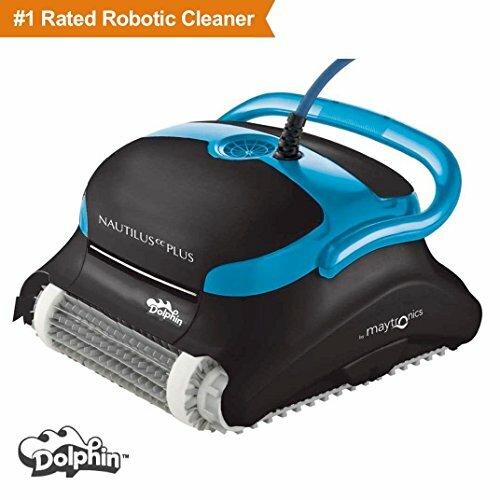 It works great for both in-ground and above-ground pools. With thousands of tiny bubbles on its top layer, it works efficiently to collect and retain heat. The use of this cover will also help minimize evaporation. It reduces evaporation by up to 95% and conserves water. With the use of this solar cover, you can keep your water warm enough to swim even when the air is cold outside. You can customize the cover to make it suitable for your rectangular or uniquely shaped pool. A marker and your regular pair of household scissors will do the trick here. Interestingly, cutting the cover will not affect the manufacturer’s warranty. If you are looking for a durable cover for your pool, you can always consider putting your money on this offering from In the Swim. The company offers some highly efficient and durable solar pool coves. This thick cover is sure to keep your water protected from debris and dirt. 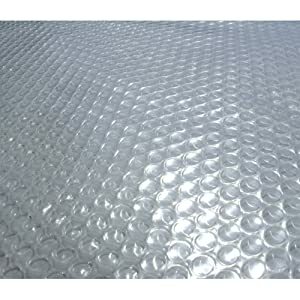 The 8Mil solar pool cover comes with tiny air bubbles that work efficiently to collect and transfer heat to the water. It keeps heat trapped in your pool and works to prevent chemical loss as well. No need to worry about rebalancing often with your pool covered properly. A good thing is that you can trim or cut the pool cover to suit your oval, kidney, or irregularly shaped pools. It can raise the water temperature by 6-8 degrees, which may be all that you need. This high-quality cover is backed by 3-year warranty. If you are looking for an 8-mil thick solar cover, putting your money on Blue Wave NS110 can be a good bet. It works great to retain heat with its insulating thermal cells. It is made using UV-protected polymer, which is why it is likely to serve you for many years without any issue. The cover takes advantage of passive heating by raising the pool water temperature by up to 15F. It is usually enough to extend your swimming season a bit. The cover is not heavy at all, which means that even one person can remove it with ease. The company stands behind its products and offer a 3-year warranty with this pool cover. While it works quite efficiently, it may cost you more than many other solar covers in the similar category. Whether you want to conserve energy or want to keep your pool warmer, Blue Wave can be a viable solution for you. 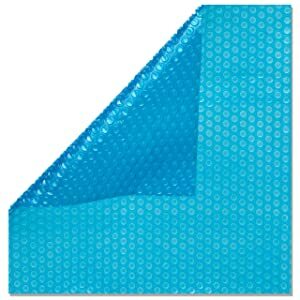 This pool cover from Blue Wave is one of their best offerings, mainly because it is super thick at 14-mil. The thicker the cover, the higher will be its efficiency. This thick pool cover has insulating thermal bubbles on its top layer. These innovative cells keep your pool warm through cloudy days and cool nights. Since it is a 14-mil thick cover, durability is not going to be an issue. 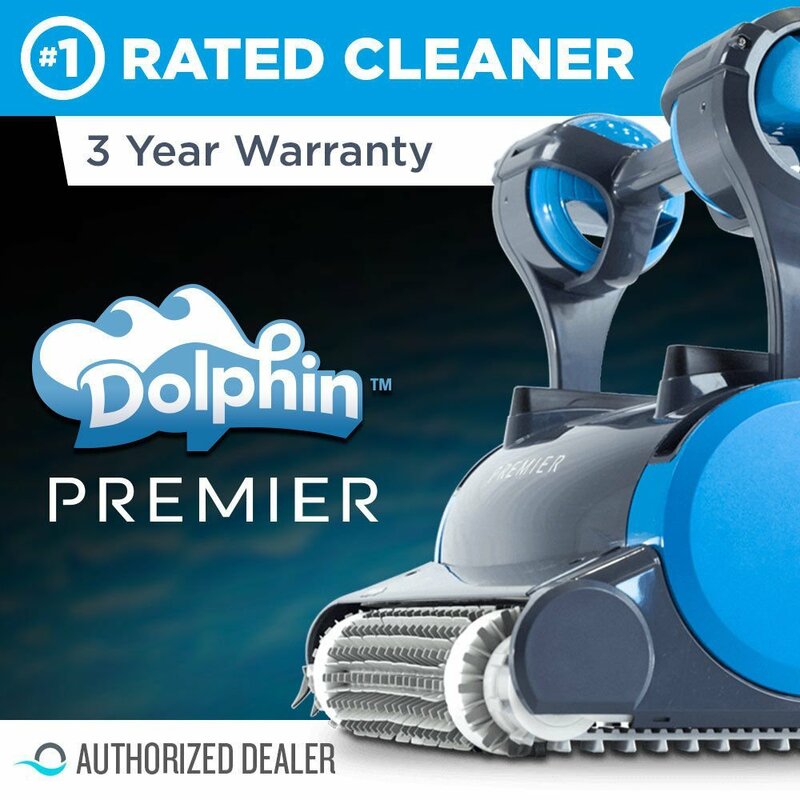 In fact, the company offers a 6-year warranty, which shows that the product is highly durable. Its price could have been better though. When you have a solar cover but are concerned about keeping it off the grass, consider this solar cover holder from Sun2Solar. You don’t have to keep your solar cover on the deck when using your pool. The cover holder saves it from getting muddy, dirty, or punctured. By opting for this cover holder, you save yourself from investing in a solar cover reel. All you need to do is pull the cover off and lay it in the cover holder. The holder comes with five aluminum tubes, These U-shaped tubes has holes in them that allow for easy installation. Overall, it is a great accessory to have when you have a solar cover. It is clear that a solar pool cover is an inexpensive way to extend your swimming season, so you may certainly want to buy one. It is a good choice also because no other pool cover actually ‘increases’ the temperature of your pool water. Now, if you want to make a purchase, be sure to keep the following points in mind. 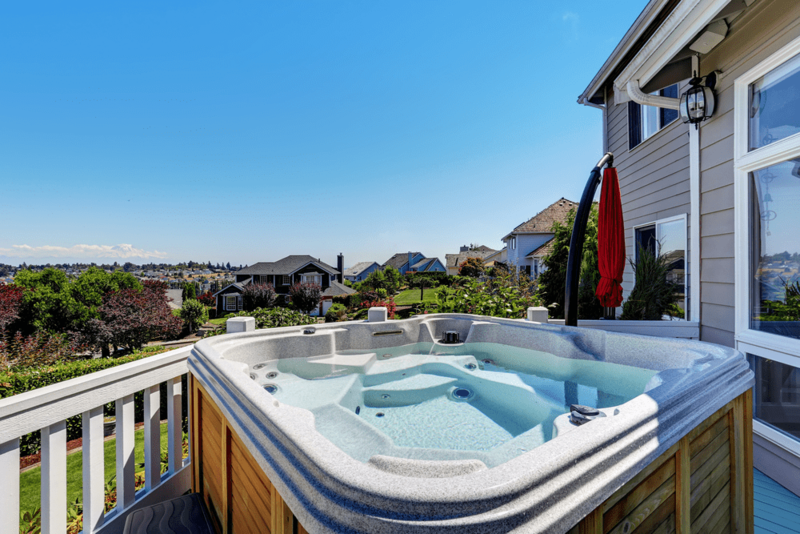 It is important to consider whether you have an in-ground or above ground pool. When buying a pool cover for an in-ground pool, remember that you may also have to invest in a right type of cover reel. Moreover, you need to consider the size of your pool. You can cut a solar pool cover to suit the size of your pool – in-ground or above-ground. But, you should know the measurement to start on the right foot. Not all pool covers are easy to use – you have to go through some hassle to cover your pool. The same holds true for solar pools that are also available in three types – manual models, semi-automatic, and automatic models. Manual models require your assistance to work – that is why they are also called passive solar covers. 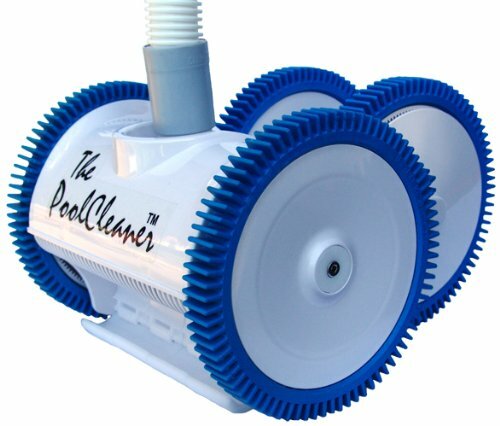 Semi-automatic pool covers come equipped with a reel system. It uses electric power to remove your pool solar cover. Still, you will have to guide the movement into the reel. Automatic solar covers come equipped with a fully automatic function system. You just need to push a button to roll and unroll the cover. They are highly convenient but are equally expensive too. You will find pool covers made using different types of materials. Not selecting the right material would keep you from getting a cover that lasts for long. A good option is to buy vinyl covers. As compared to other options, vinyl covers are a lot more resilient. You can expect heavy-duty protection. You can try other options too if you have an indoor pool. However, do not forget to check the quality of construction before buying. The build quality can lead to a difference in heat retention and make your solar pool cover less effective. You will find solar pool covers in different colors. It is better to opt for darker colors because they are likely to offer better protection against heat. 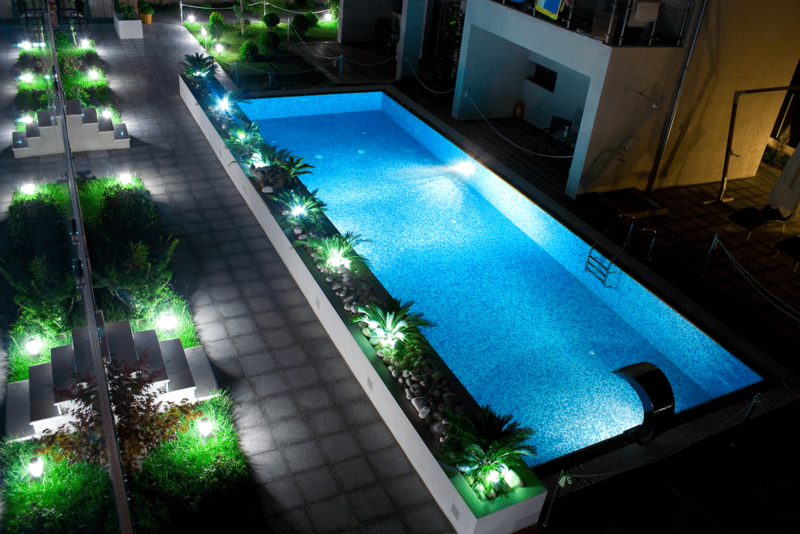 However, you should not go for a cover that is too dark or else it will start keeping your pool cooler. To avoid making a wrong decision, you can put your money on semi-transparent covers. These covers allow UV rays to pass through the cover and reach the water. However, the cover then prevents evaporation and keeps heat trapped in the water. Such covers will also help store water longer because they reduce evaporation to a significant level. The thickness of a solar pool cover can have a great impact on its efficiency. Ideally, you should opt for a thicker pool cover because it is going to last longer and help trap heat better. Just be ready to pay more when opting for a thicker solar pool cover. Apparently, it looks that all solar pool covers are the same, but they are not. Look closely and you will notice varying patterns and shapes in these covers. Some common designs include bubble wrap-like bubbles, diamonds, and hexagons. While it is a good idea to consider the design, the larger bubbles are usually not going to prove better. So, do not end up spending more on it! It is true that solar pool covers work efficiently to keep your pool warmer. Many people think that they can get similar results by using a sheet of heavy plastic. That is not true because solar pool covers use air chambers that work as a magnifying glass. It captures the energy and then transfers it to the water to increase its temperature. Also called solar blankets, these pool covers are the most affordable ones. 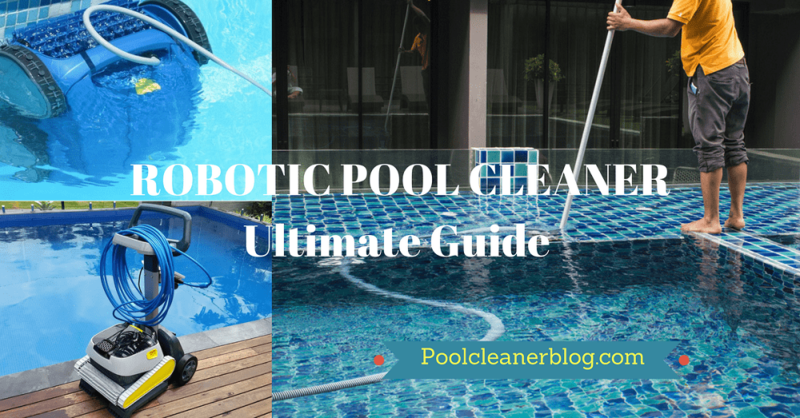 It is also quite easy to handle them – even new pool owners with little skill can manage them. They have air bubbles on top that absorb sun’s heat and send it to the water. At night, the bubbles play a different role and turn into insulators. The good thing about these covers is that they are UV-ray-resistant. They can withstand direct exposure to sunlight. It is easier to handle them because they are lighter in weight. You can also find them in different grades of polypropylene or polyethylene materials. They are available in different thicknesses, ranging from 8 gauge to 16 gauge. A thicker cover is likely to prove more efficient. The pool covers also work great to conserve water by limiting evaporation. Some solar pool covers come with small spheres to enhance solar collection in your pool. They are called solar ring pool covers that are quite useful and efficient too. They have rings attached to create a raft on the surface of your pool through magnets present in each unit. A good thing about these solar ring covers is that they have triangles of uncovered space that let sunlight to pass and prevent unwanted algae growth. Moreover, you can easily remove a few rings for vacuuming and skimming. In terms of durability, they are no better than a bubble cover though. Not only does a pool cover help extend your swimming season by maintaining a right temperature, it also helps protect the pool water from becoming dirty. Although other pool covers have their benefits, using a solar pool cover is the most affordable way to enjoy the benefits of using this technology. It is the only cover that can actually ‘raise’ the temperature of your pool water. It is durable, it is efficient, and it is available in different sizes. Just be sure to pick the right size and know the material you are selecting is resilient to maximize its performance.